'Vidyarambham' is a secular South Indian tradition of initiating children into the world of knowledge by wiring letters on sand or rice grain. Yesterday, more than four thousand toddlers were initiated into learning as part of the Navarathiri festival at Thunjan Parambu near Tirur, in Malappuram district in Kerala. 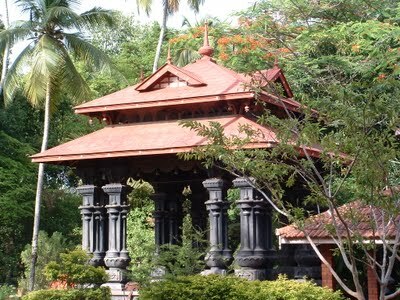 Thunjan Parambu is a memorial of medieval poet Thunchath Ezhuthachan, revered as father of Malayalam literature, where children are brought to write their initial letters on sand and rice grains. Writer C Radkahrishnan says, "It was in Thunjan Parambu that Ezhuthachan modified the Malayalam alphabets and wrote the Harinamakeerthanam to popularize them. Even after centuries people from various parts of the state come to take sand from Thunjan Parambu to initiate their children to the alphabet." It was in Thunjan Parambu that Ezhuthachan taught and spent better half of his life. Here one can find the original stylus which Ezhuthachan wrote the Malayalam Ramayana, a Hindu epic. Legend says that the whole Ramayana in Malayalam was recited to the author by a parrot so that he could compose tirelessly without having to stop in between. The literature park designed according to traditional Kerala architecture, has a beautiful bronze statue of the parrot and larger version of the Iron stylus and the palm leave in with which he wrote the epic. The legend says that the Nux Vomica tree with bitter leaves here has lost their bitter taste to sweet wisdom. 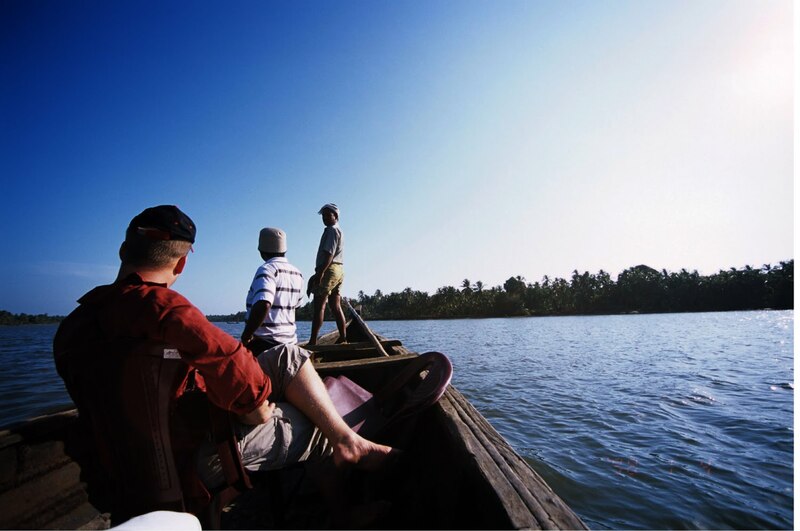 Most of the trips that The Blue Yonder organises along the River Nila is initiated by a visit to Thunjan Parmbu followed by a serene country boat ride through the Tirur River that joins Nila before pouring into the Arabian sea at the estuary in Ponnani. Check out for more details here.